Do you like Nina Wedding? Share it with your friends. For a beautiful young girl called Nina, the day D comes when she marries her husband's husband. 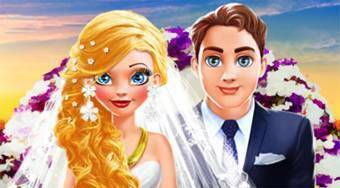 Your task in the great girl game Nina Wedding will first be to make her face look beautiful, make a beautiful make-up, choose a hairstyle, wedding dress, veil, bouquet, jewelry and eventually make a wedding ceremony.